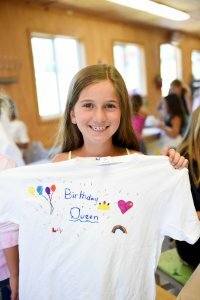 At Camp Starlight, campers look forward to filling their friends and family back home in on the details of their camp experience through a series of handwritten notes. But participating in the ancient art of “snail mail” is about more than just touching base with friends and family back home. Writing and receiving letters benefits campers in many ways. A summer at sleepaway camp introduces campers to some of life’s most simple pleasures, such as songs around a campfire, enjoying a sunset and appreciating the art of snail mail. Just another way Camp Starlight gives campers experiences that they may not have had anywhere else! This entry was posted on Thursday, January 17th, 2019 at 9:46 am	and is filed under Summer 2019. You can follow any responses to this entry through the RSS 2.0 feed. You can leave a response, or trackback from your own site.